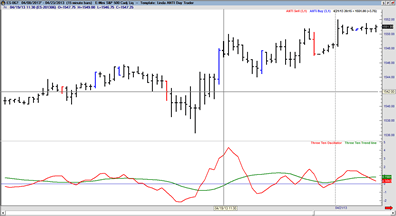 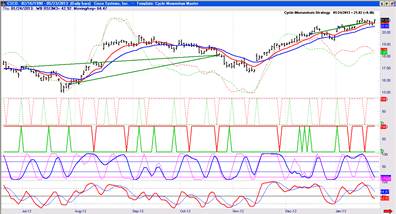 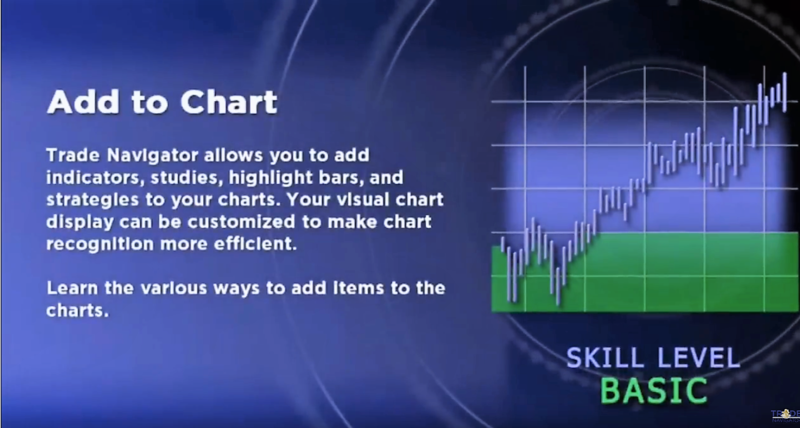 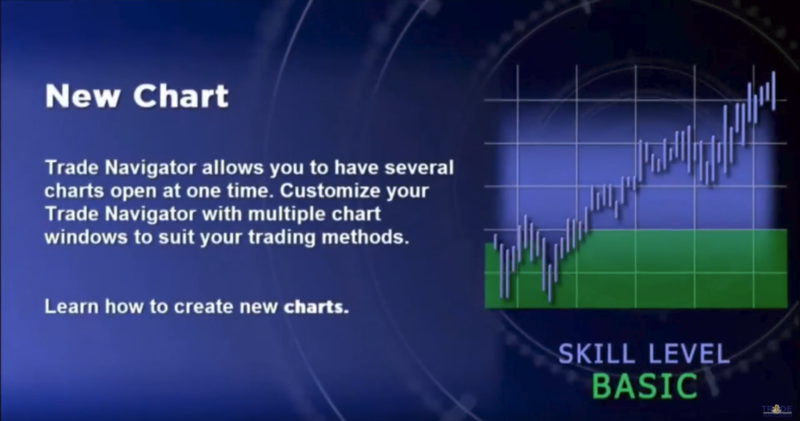 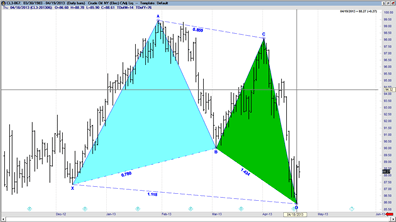 Learn how to add indicators, highlight bars, and studies to your charts. 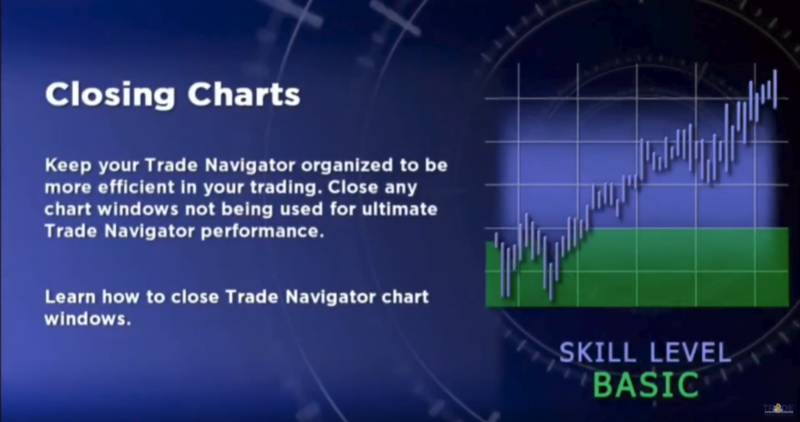 Learn how to close Trade Navigator chart windows. 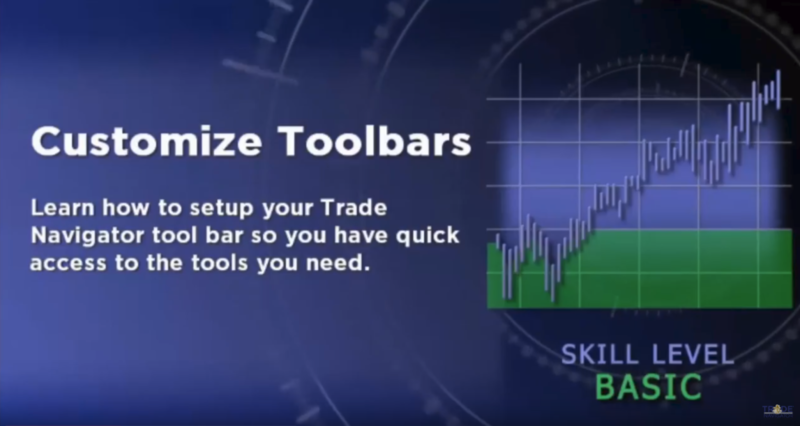 Learn how to customize your toolbar. 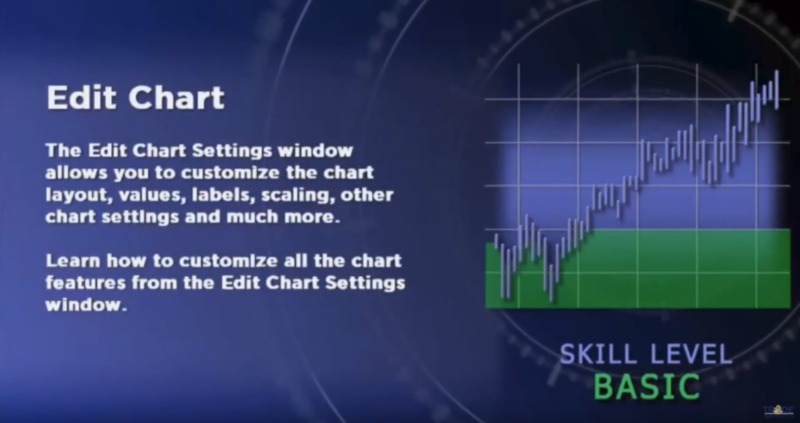 Learn how to edit your chart. 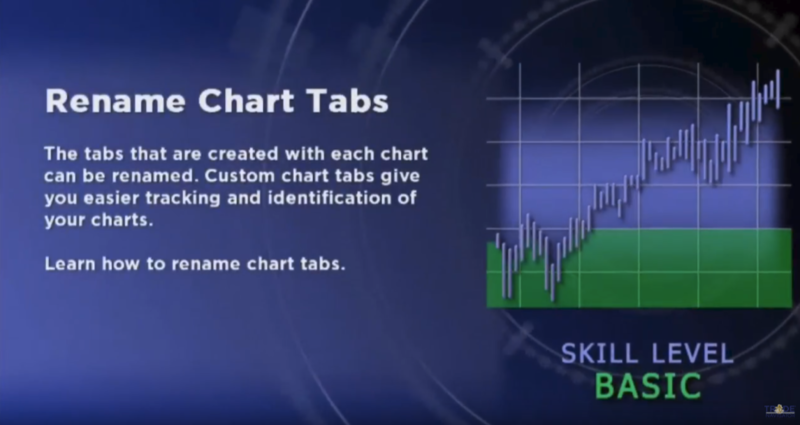 Learn how to rename your chart tabs. 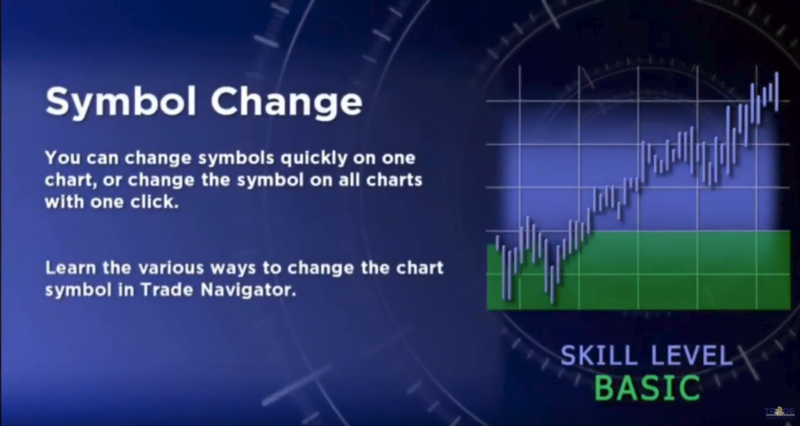 Learn the various ways to change the chart symbol in Trade Navigator. 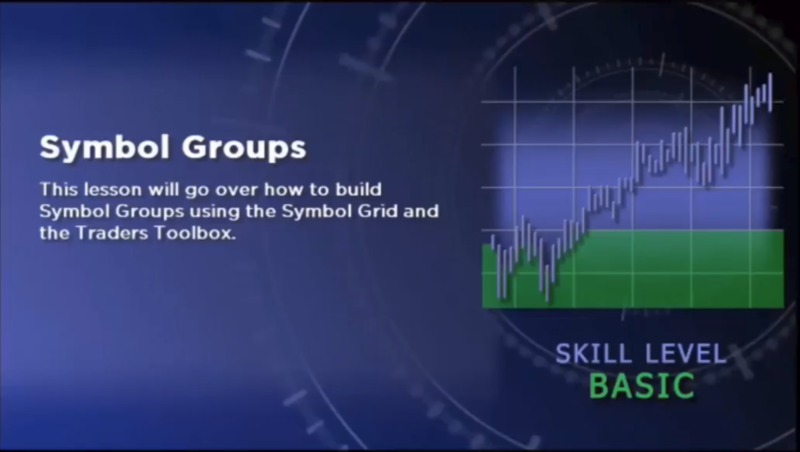 Learn how to create and manage symbol groups. 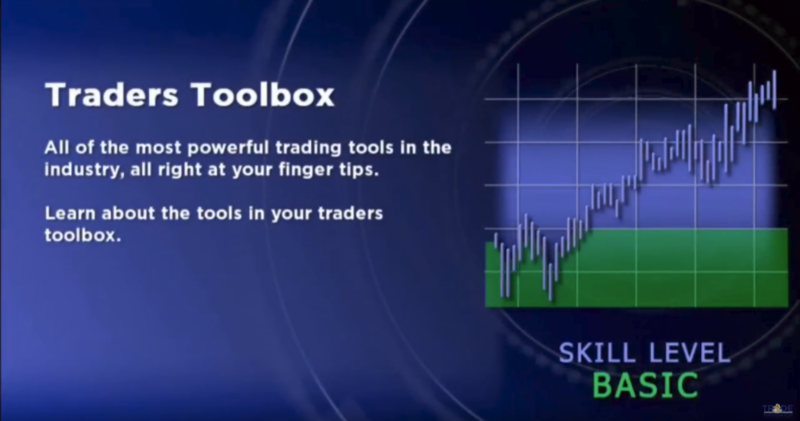 Learn about the tools in your traders toolbox. 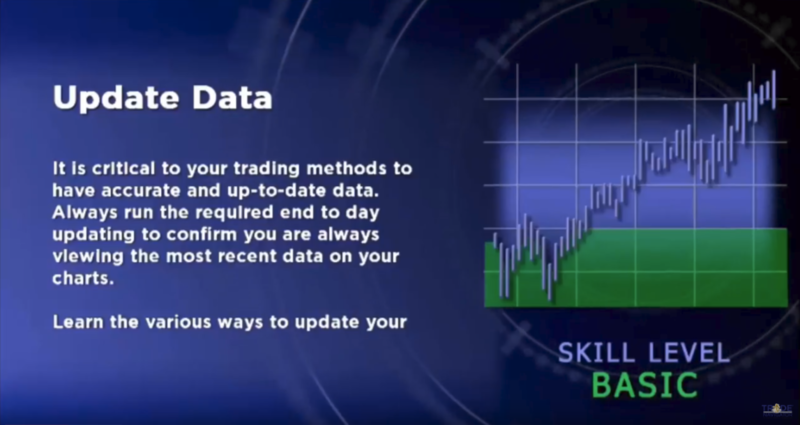 Learn the various ways to keep Trade Navigator up to date. 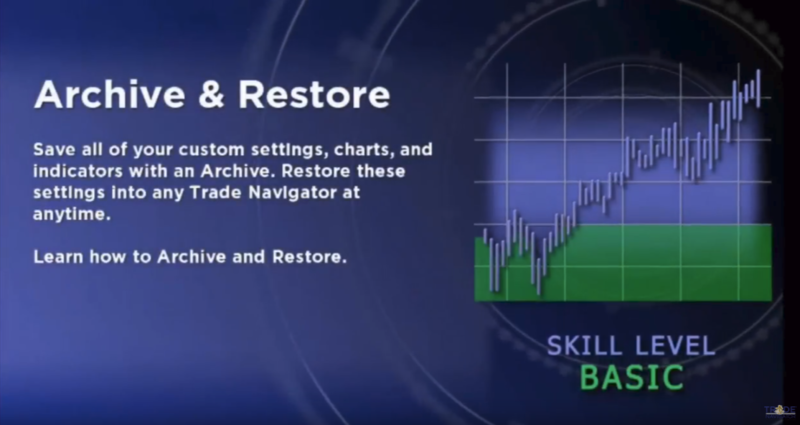 Learn how to backup and restore your custom setting.